Tooth loss can have a significant impact on your self-esteem, as well as the aesthetics and functionality of your bite. If you are missing one or more teeth, or are planning an extraction due to gum disease, you can choose to replace them with an adhesive based denture but should be aware of a better way to achieve a smile that is both beautiful and functional. Implant-supported prosthetics are the ideal choice for restoring your smile, as they look and feel just like your natural teeth. Dr.'s David R. Bolla, James P. Cotter, and Jeffery W. Easton II are experienced at creating quality restorations using dental implants. We will refer surgical implant placement to a trusted local surgeon. Implants consist of small titanium posts that are placed into the jaw-bone. These posts support the restorations that replace your missing tooth or teeth. Over the course of a few months, the post fuses into the jaw. Once it is fully integrated, you’ll return to our Port Huron dental office for your final restoration and a beautiful new smile. Our implant-supported crowns look natural, improve bite strength and balance, and limit bone resorption from lack of teeth. From single tooth replacement to implant retained bridges and full arch restoration, our dentists can rehabilitate your smile without the worry of your restoration slipping or even being lost. 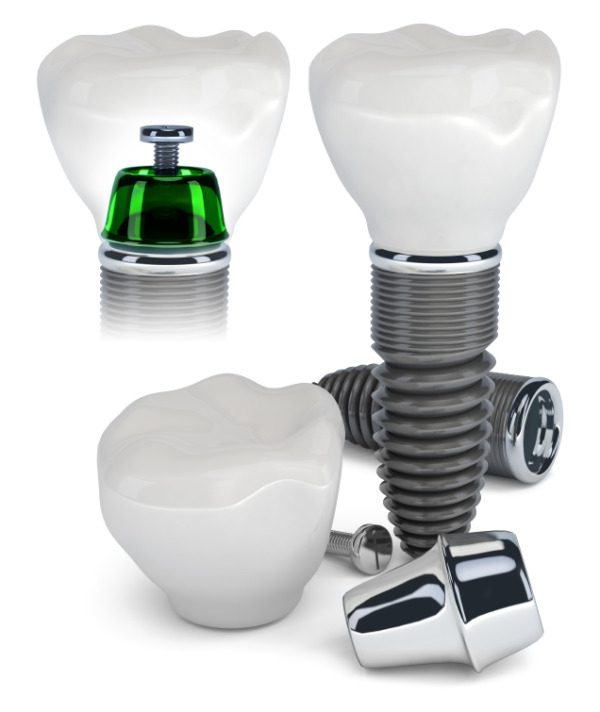 There is no comparison between a dental implant and adhesive based appliances when it comes to both aesthetics and functionality. Contact us at our Port Huron dental office today to schedule an implant consultation appointment - Dr.'s David R. Bolla, James P. Cotter, and Jeffery W. Easton II are highly qualified and experienced in dental implant restoration.